Nadia is a fully licensed and insured property finder, registered as an “Agent Commercial en Immobilier” and is a member of the The French Property Finders, a network of bi-lingual independent buyer’s agents throughout France. Nadia aims to combine her professional knowledge with her personal experience in a business that is all about helping other people achieve their dreams. She also wants to share the secret of this hidden part of France with the many other people out there looking for a new and better life in a beautiful part of France in an area where property and land is still excellent value and where there are still plenty of business and work opportunities. Having lived and worked all over the world, Nadia arrived in this hidden corner of France fifteen years ago with her husband and four children. Here she has found both the fantastic quality of life and exceptional surroundings that she has always been looking for. With a post-graduate degree in marketing and many years experience working in marketing and PR, a travel journalist and copywriter, Nadia now uses this knowledge combined with her own personal experience of finding and renovating old properties and living and working abroad, to help others realize their dream of owning a home in France. When you’re moving to a new area, it helps to know someone with local knowledge, who speaks the language and who is completely on your side. We live here, our children attend local schools, we dine out, and we use local doctors, dentists and tradesmen. So we are familiar with all the amenities and services you will also need when you move to the area. We are here to help you find your dream house in the perfect location and make your French house purchase the best thing you have ever done. I would not normally consider writing on a blog site. However, this is an exceptional circumstance in that without Nadia’s combination of a love of the area, total dedication to her clients and absolute professionalism, I would not now have a little piece of paradise that one day I will call home. Nadia above all other agents requested information not only about the style and size of the property, but basic information about the individuals she would spend many hours searching for. I realise that her insight of human nature is such a unique skill that means so much more when searching that most agents do not even consider. We have met some amazing people to get to this point. Thank you Nadia for finding us the property in the first place. 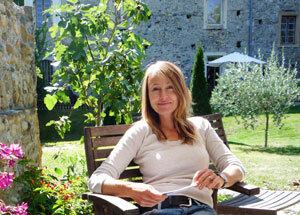 If anyone is looking for a France property finder, Nadia is the best! Your professionalism, efficiency and patience – as well as great good humour – have made this a painless experience. And you can’t say that about property purchases most days of the week!